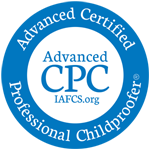 Certified Toronto baby proofing experts and baby gate installers since 1994. If you want a quote on gates please send wide angle photos of the areas you want gated. DO NOT take photos while standing on the stairs. Stand as far back as you can. Do not take close ups. Photos MUST be sent in order to get a quote on Baby Gates Installation.